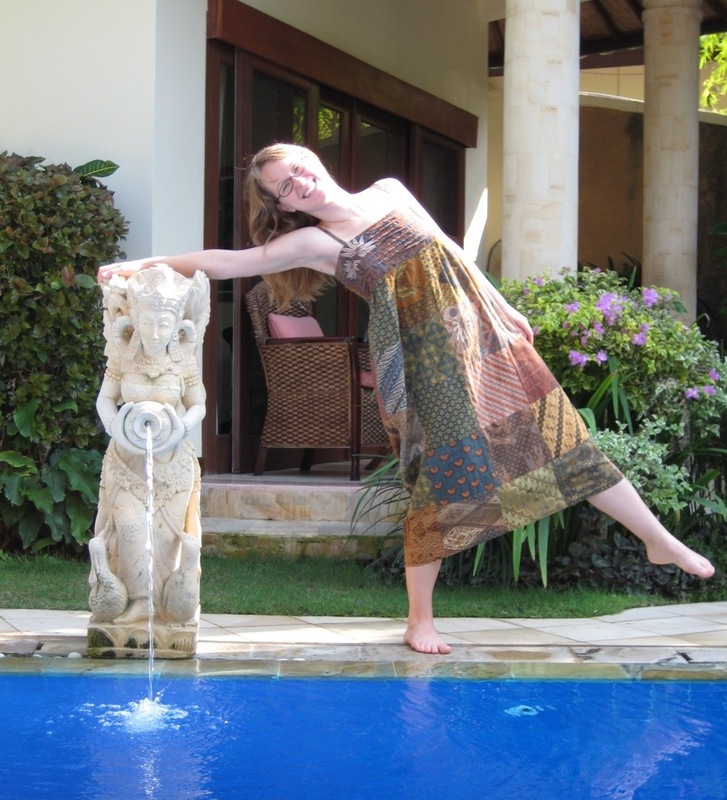 Five years ago, my performing travels led me on one of the greatest adventures of my life: three and a half weeks singing, teaching, and touristing in Indonesia. 11 years before that, I took a college course on Indonesian music. This in-depth course, one of my very favorites out of many wonderful classes I took at Brown, covered not just the traditional and popular music of Java and Bali, but also bits of the history, culture, and politics of Indonesia. I fell in love with Indonesia long-distance, and decided that somehow, someday, I would get there. During high school I’d developed a similar serious crush on Spain when I soaked up the thin, black & white volume that was our history and geography text in upper-level Spanish classes. I’m still waiting for my trip to Spain, but I’ve been across the world to Indonesia. That fact confirms that Indonesia was in my destiny. 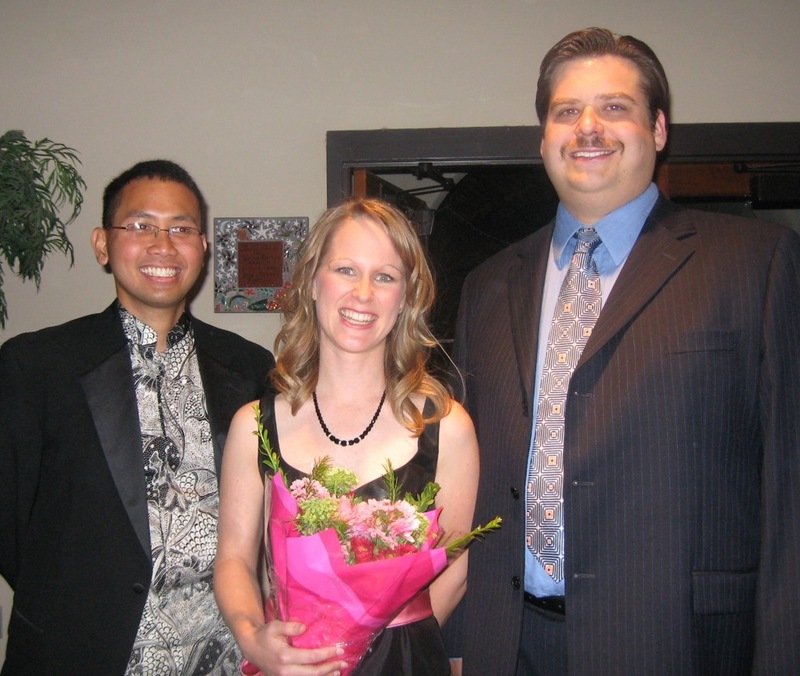 Fate made that clear when I arrived at the University of Arizona for graduate school in 2004 and was introduced to my teaching partners, baritone Nathan Krueger and pianist Aryo Wicaksono. That first day, I excitedly and correctly guessed from his nametag that Aryo was Indonesian. We three taught together for 4 years in the Opening Minds Through the Arts program in the Tucson schools, began performing on recital series around Tucson, named ourselves the Swara Sonora Trio, and then commissioned a cycle of songs from Ananada Sukarlan, a prominent Indonesian composer and pianist who now lives in Spain but receives rock star treatment whenever he returns to his homeland. After our successful premiere of Ananda’s Love and Variations, we decided to take it on tour to Indonesia and premiere the work there. We were crazy, but we pulled it off, thanks to many donors in the US and Indonesia and to Aryo’s mother Erni who coordinated most of the logistics on the Indonesian end. The planning and handling the donations that so generously came pouring in became an extra part-time job for me and almost killed me (and probably Ibu Erni too), but it was worth it. So very worth it. In the coming weeks I’ll write more posts about my reflections looking back on our Peace Tour. In the meantime, you can visit the trio’s blog; we posted almost every day along our journey to keep our supporters back home engaged with our amazing experiences and work there. Click here to access our blog, and find the August 2009 postings in the sidebar on the right.